I was initially disappointed when she chose this simple design. 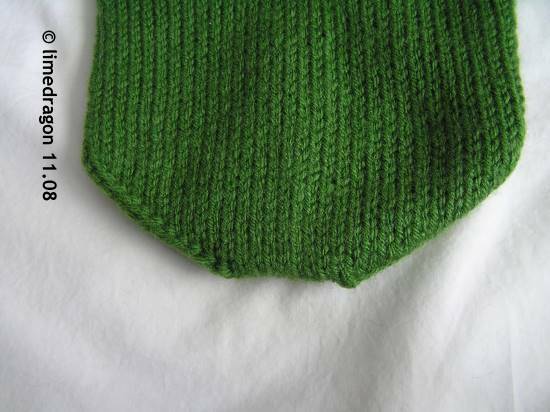 I showed her a couple of designs featuring lovely colorwork motifs, but Grandma was adamant: she wanted one exactly as shown in the book, but in Christmas green. 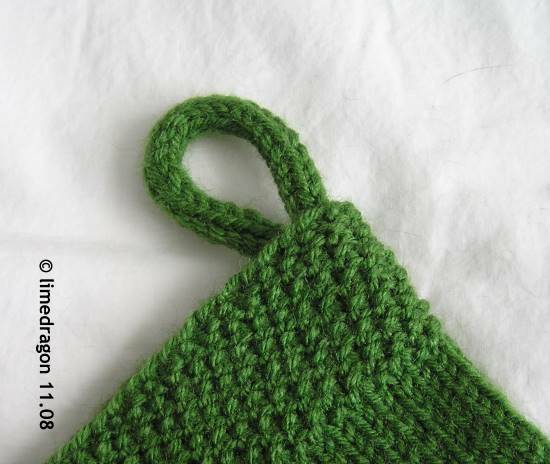 It turned out to be a fun project; uncomplicated, yet with a few small, interesting twists. Apparently Grandma likes it, as she plans to hang it up all year around! 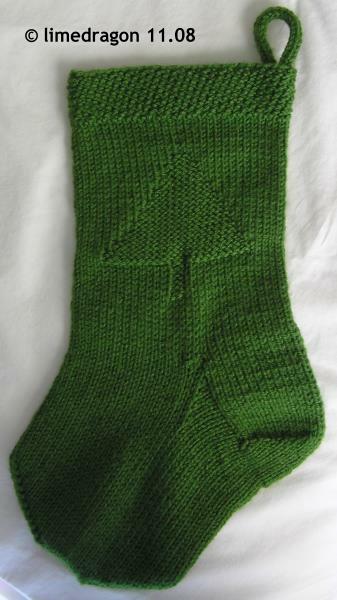 It was a bit tricky finding yarn in the right shade of green. 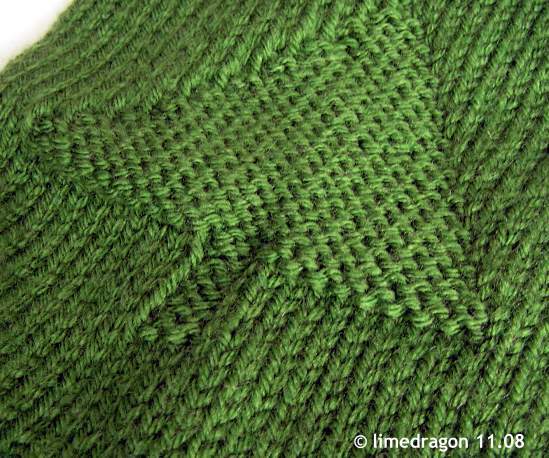 It seems like green yarn currently available usually are yellowish-green or quite dark. As you can see, I did finally find something that was Grandma-approved! The toe is quite unusual as it utilizes centered double decreases instead of the usual decreases on either side. 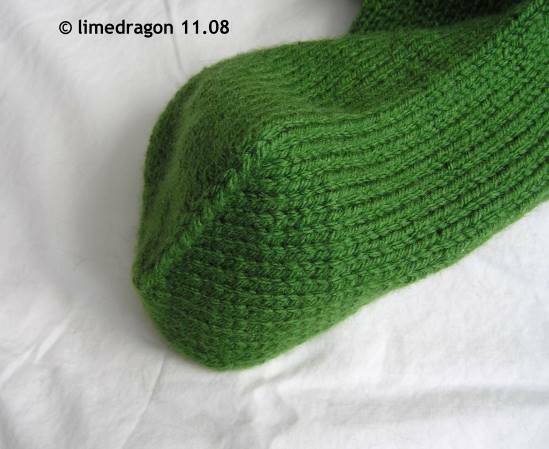 The resulting effect is good-looking, but I suspect this toe wouldn’t be comfortable in socks. The i-cord is quite possibly my best attempt ever! I don’t usually like my i-cord attempts; they look sloppy or have a poor "seam." Apparently, my "magic number" for i-cord is 4, as I had always used 3 stitches in the past. I love that simple design! 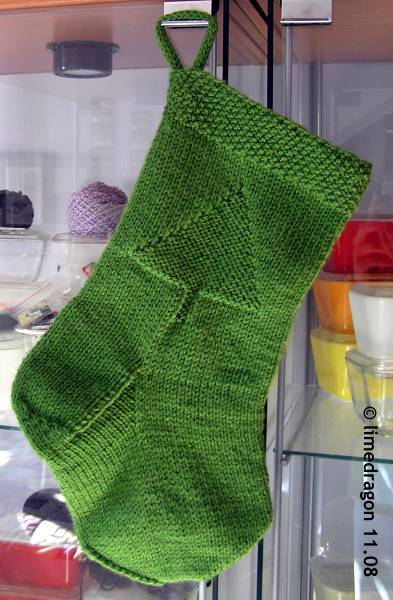 the stocking is elegant in its simplicity. it’s just lovely.